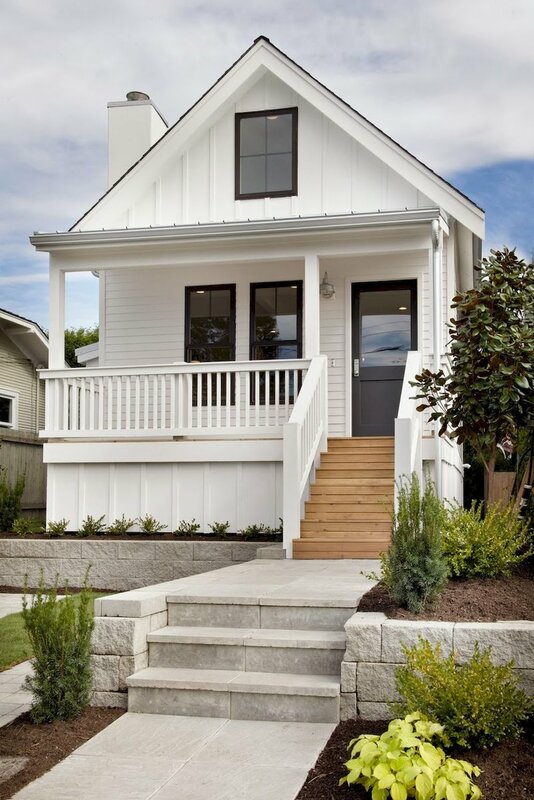 The second we obtained ownership of the home I started sketching layout ideas and saving images to my Pinterest board for how we could transform this little shack into a beautiful home that blends the historic character of Sherman Hill with modern nodes of design. Here are some initial ideas which bring excitement and help push us through the dumpster days. Ideally, we will have parking in the back, as well as an outdoor patio space. It will be a great outdoor entertaining space to enjoy the neighborhood and get to know the neighbors at our other future house! As for the interiors, it will be a blend of simple and fun. With only 840 SF to work with, I am going to be pretty minimal on my use of colors and finishes so that the whole house works together in a cohesive finish palette. My goal is to continue the neutral exterior palette onto the interior, with some fun patterns and natural accents. Here are some interior sources of inspiration. For the bathroom, I would love to do something fun with a patterned tile. Again, because the house is so small, we need to be careful on where we are using pattern and how much of it. A tile floor or wall in the bathroom seems to be the perfect location. Have you heard of Schoolhouse Electric? I am obsessed with their lighting, hardware, and accessories. I could browse their website all day long. The minimalistic style is exactly in tune with my design style. I am leaning towards a Natural Brass finish for the hardware and lighting with some matte black possibly integrated as well. I will continue to share ideas, sketches, finishes, and ultimately plans as we continue to develop the design. For now, it’s enough daydreaming and back to dumpster filling.